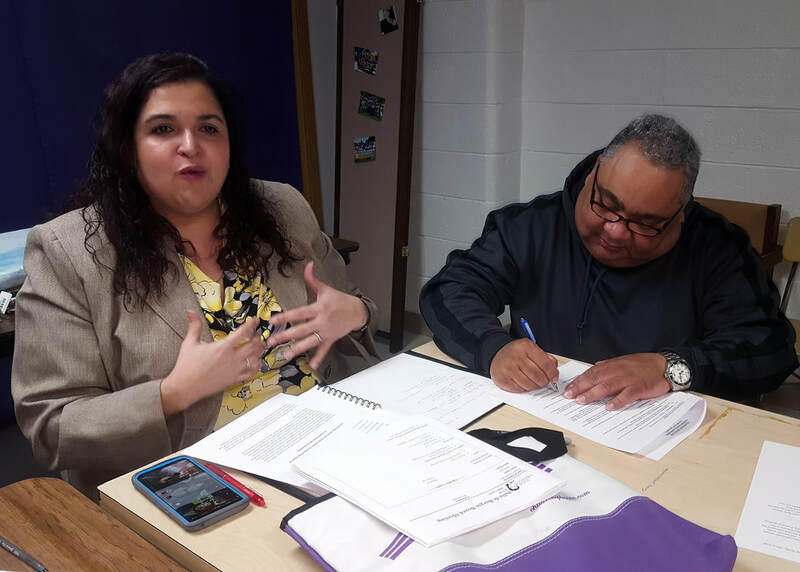 Cleveland, Ohio - Julia de Burgos Cultural Arts Center (JDBCAC) and the Hispanic Police Officers' Association (HPOA) are proud to announce that an agreement has been reached to transfer all rights of the Puerto Rican Parade to HPOA in 2019. For the last 18 years Julia De Burgos Cultural Arts Center has been organizing and delivering the Puerto Rican Parade for the enjoyment of the greater Cleveland community. JDBCAC is experiencing much welcomed growth! In order to strengthen the center’s position as the community’s Latino arts and culture education and fusion hub, redirection of time and resources is a must. “As we took a very serious look at the future there is no doubt this is the change that needed to happen in order for us to focus on this growth and how we can best fulfill our mission of transforming lives through arts and culture” said the Executive Director of JDBCAC, Letitia Lopez. A very difficult decision was made a lot easier when the Hispanic Police Officers’ Association expressed interest in taking over the parade. HPOA has been serving the community since 1986. At their core is the desire to build effective communication and interaction among public safety personnel, their families, and the surrounding community. HPOA is committed to the ideas of education, charity, and volunteerism through allegiance to our community and our families. This in itself exemplifies Latino Culture! This year the Puerto Rican Parade celebrates its 50th anniversary. In order to experience a smooth transition, JDBCAC will take the lead once again on this historic event while working in collaboration with HPOA. All knowledge including logistics, best practices, frustrations, and joys will be shared to ensure they are fully prepared to take on the task in 2019. With this transition the community should expect new ideas and great changes to take place. The transfer of the rights agreement held the best interests of the community at the forefront while creating a true partnership. JDBCAC and HPOA will strive for excellence in the delivery of this year’s Parade. “We are honored and humbled and look forward to keeping the rich tradition that Julia De Burgos Cultural Arts Center brought to the parade and to preserving the visions of its founders” said Edwin Cuadra, President of the HPOA Board. Both organizations look to the Hispanic community and community-at-large for support of this transition and to help make this year’s event the best yet! 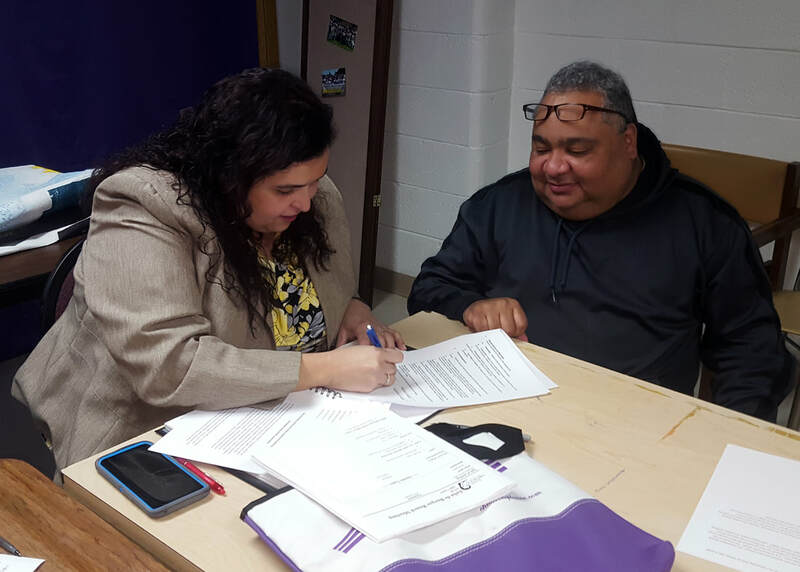 JDBCAC Board President, Madeline Corchado (Left), addressed representatives in attendance as she and HPOA President, Edwin Cuadra (right) signed the agreement.